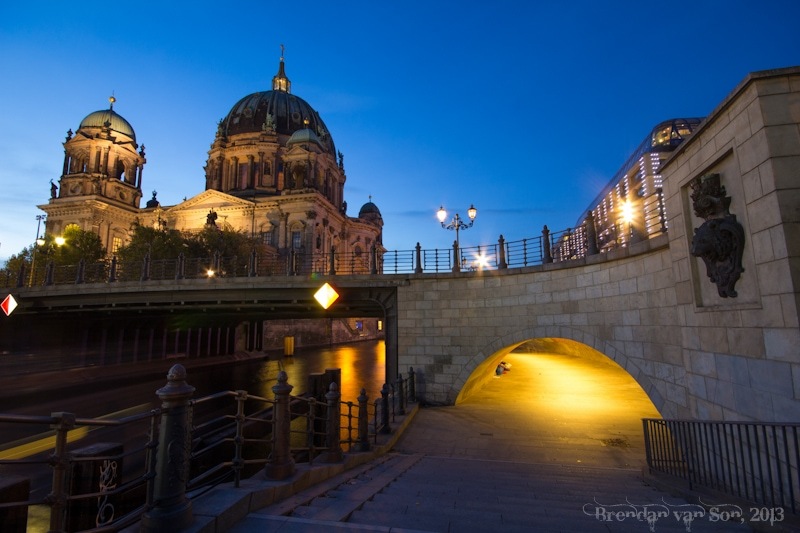 The first place I wanted to shoot was the Berlin Cathedral. It’s a great building, but it’s a bit of a challenge to shoot. On the river side, they don’t light it up and it can be a bit dark. I used the traffic from the road to add some depth and colour to the image instead. 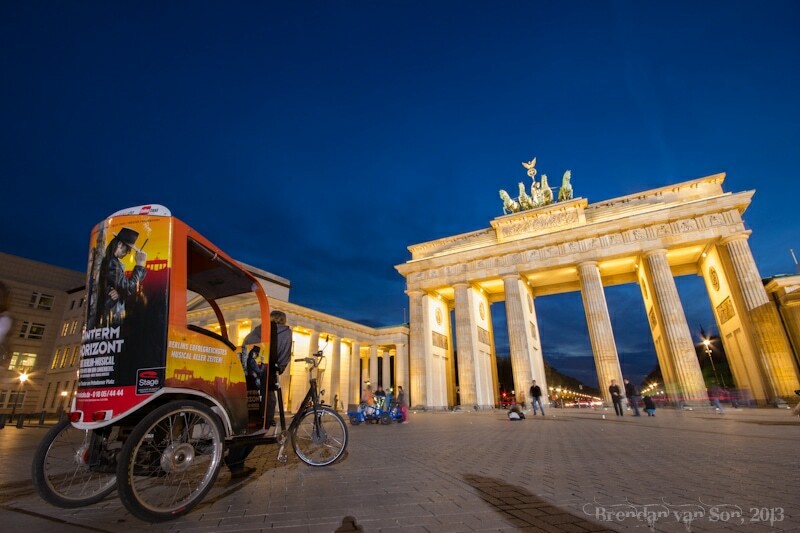 The Brandenburg Gate was packed with iPhone wielding tourists when I got there. The last time I was in Europe, if I was shooting my DSLR people would respect me and get out of my shot. Nowadays, with so many DSLRs, people act as if I’m anyone else, and stand right in my shot. It was hard to frame a good image. I decided to make this bike cart a part of my image. This was easily the best light I got in Berlin. You’ll never hear a photographer complain about clouds and really, these were the only decent clouds I got the whole time I was there. The shot is worth all the bland skies though! 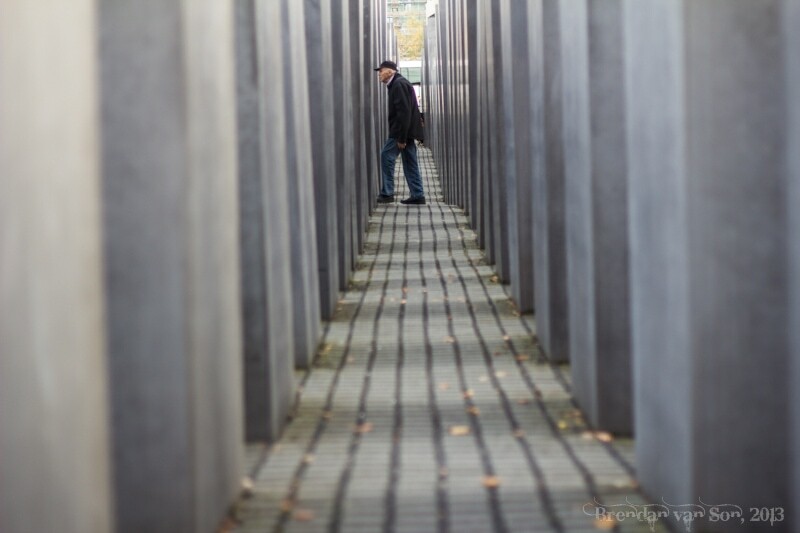 The Memorial to the Murdered Jews of Europe seems like a mere set of stone pillars in the city. Then you start reading the names attached to them and get a feel for the scale. It’s a powerful place, so I wanted to put a powerful light to an image from there. This is what I came up with. 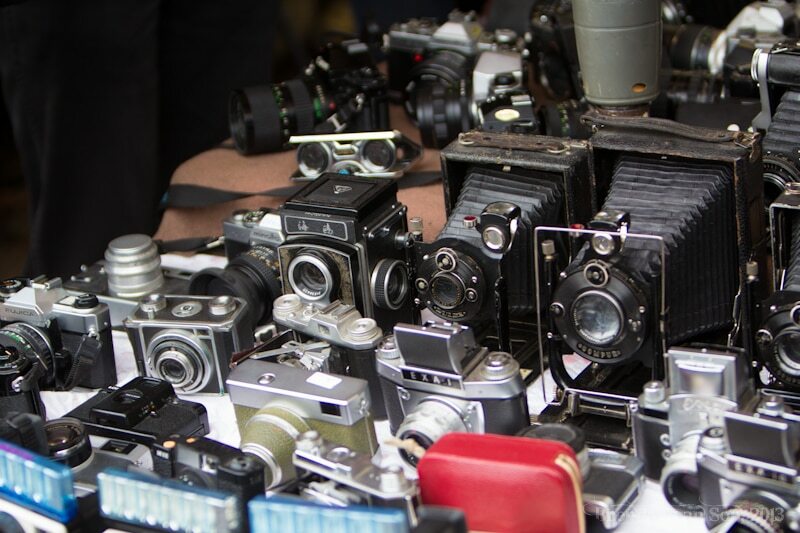 Inside Mauer Park Flea Market there were lots of old cameras and Polaroids. It’s a good thing I didn’t have any money with me or I would have left with one of these. I had mixed feelings about the Berlin Wall. It was amazing, but I found myself extremely annoyed with the amount of graffiti and random pen scribbling on the wall. Don’t they enforce that as vandalism??? All the John + Jane = Love pissed me off. No, John and Jane, you are not cute, you’re bastards. 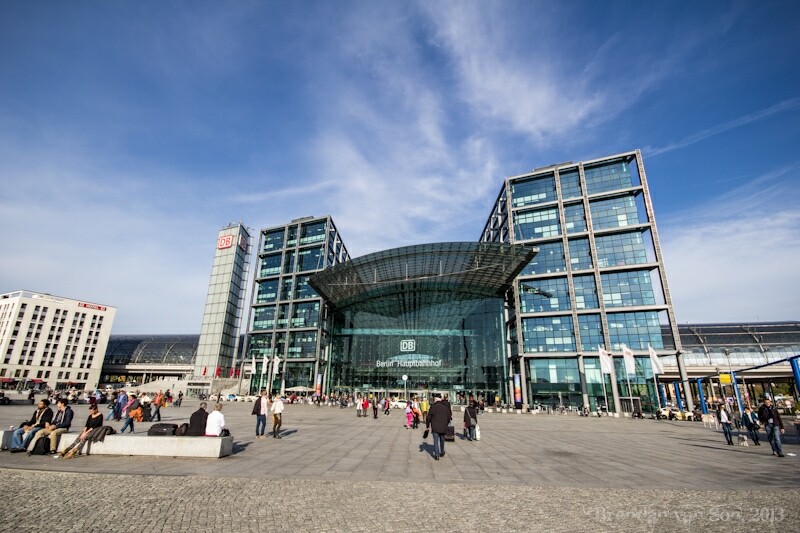 Berlin’s Hauptbahnhof station is one the few modern buildings I photographed. 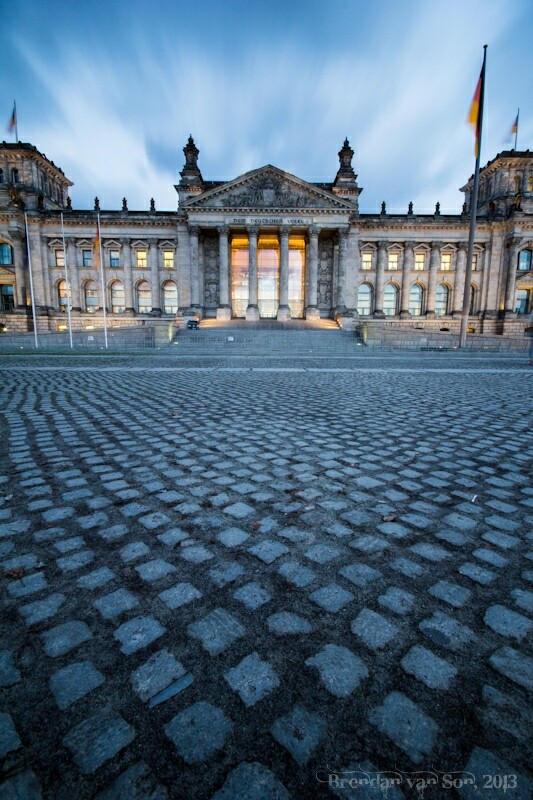 I liked the contrast between old and new in Berlin, but I definitely photographed the old more. Another photo from the memorial. I must have looked like a stalker perched within the pillars waiting for a person to enter my frame. 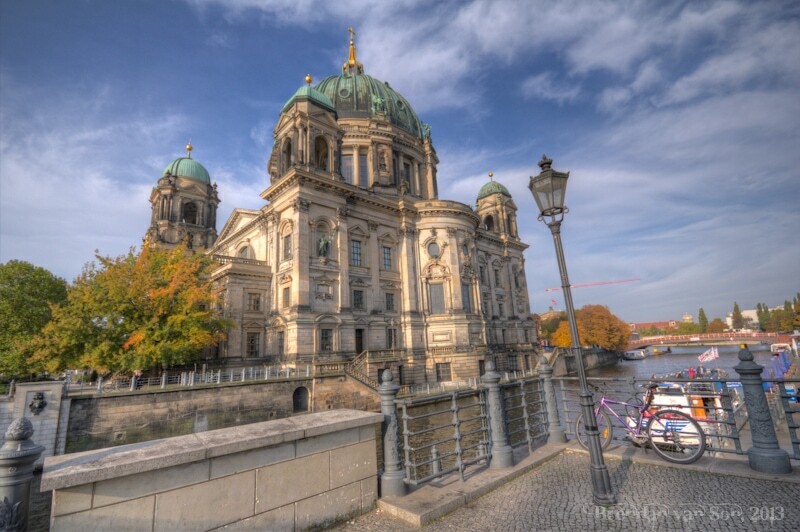 Another shot of the Berlin Cathedral. I have been shooting too much HDR in Europe, but I think this one is done the right way. I love the bike, the street light, everything. This shot took me about 4 minutes to get. There was a girl posing like an idiot while her boyfriend laid on his back shooting her. How are you not embarrassed to take those pictures? And that is some whipped boyfriend to put up with that. Back in Mauer Park, this is my second favourite photo from Berlin. 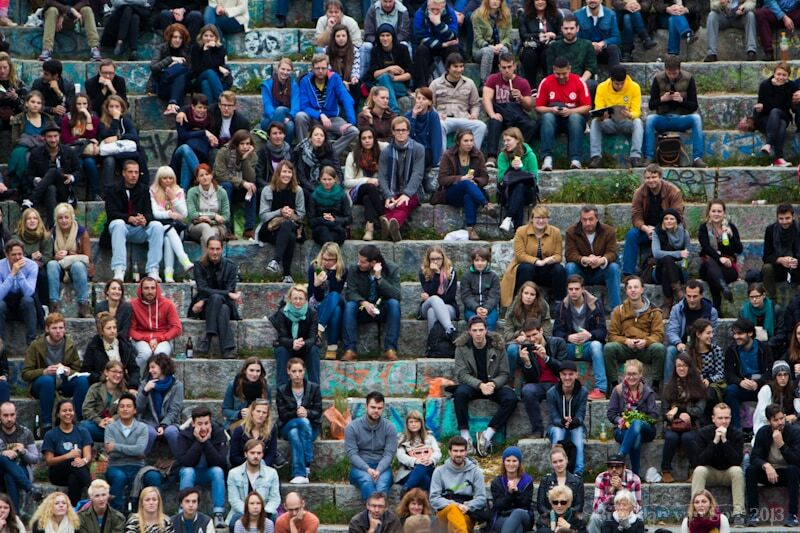 I love how you can just sit there and pick at the faces from the crowd. 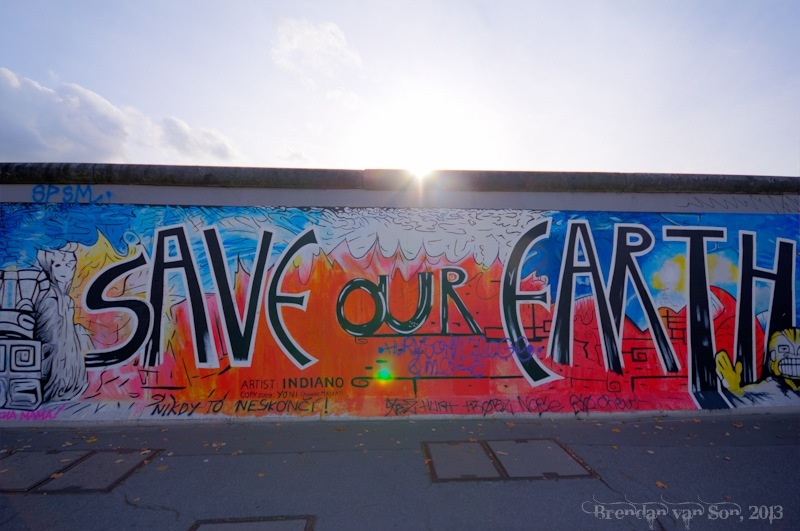 Another shot from the Berlin Wall. I took quite a few photos there, but then again, who hasn’t. When crossing the tunnel to photography the “Dome” from the other side of the road, I saw this scene. Sometimes, it’s not what you expect to be shooting. Last photo from Mauer Park. I love this photo and the composition, but I’d be lying if I said it wasn’t about 20% talent and 80% luck and good timing. 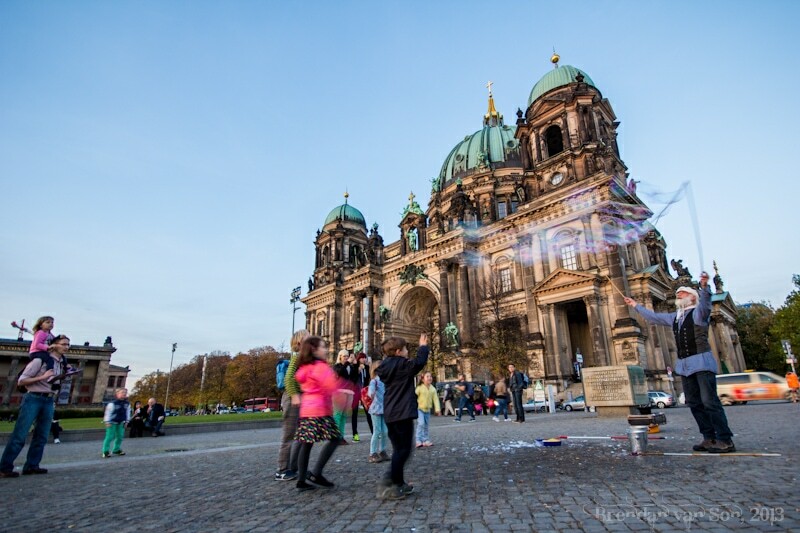 My favourite photo from Berlin because it shows all my favourite sides of the city: architecture, alternative people, and a little bit of imagination. nice picture…two thump up….someday i wonna visit this nice place…. How did you suggest to keep your camera safe while traveling? I pack nun-chucks… oh and a good camera bag! 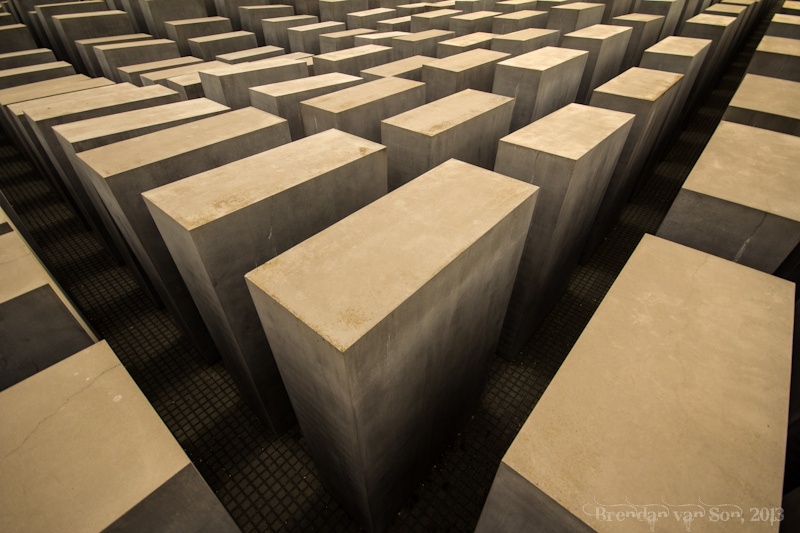 The Memorial to the Murdered Jews of Europe is, for want of a better expression, one of my favourite such monuments in Europe. It’s really interesting how the negative space is used to create a sense of isolation right in the centre of a huge city. Understand Sam. Was a bit of the same for me… there was something that felt “safe” about it, wasn’t there? Your photos are a pleasure to look at first because you include fun details in each description, and second because you capture the feeling of places by including people (which often are lacking in travel photos). Very nice work, Brendan. Having a hard timing framing? Well, you did a pretty good job! 🙂 I really like the second one with the bike cart. And the guy with the bubbles is cool too. Well after the whingeing of the last post from Berlin, you´ve done the usual sterling job Brendan ;-). Great stuff! 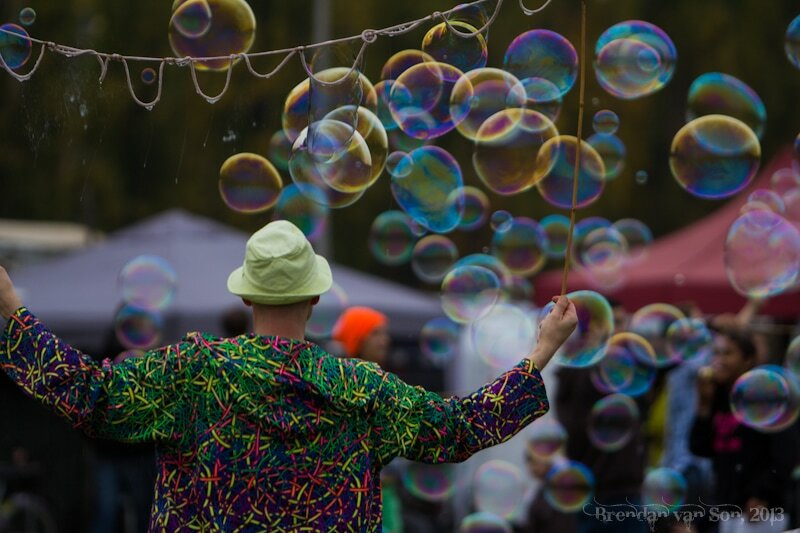 I especially like the bubble-blower; don´t do yourself down on that one. 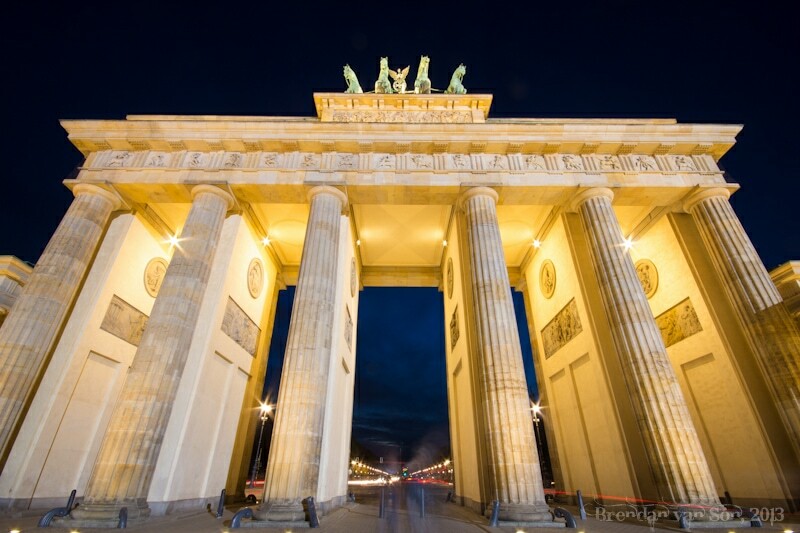 And I wouldn´t mind betting the couple titting about at the Brandenburg Gate were Russians………they have a strange idea of what makes a good photograph! Hahaha, I was going to bet they were Latin Americans… but I could be wrong. You got some great shots! 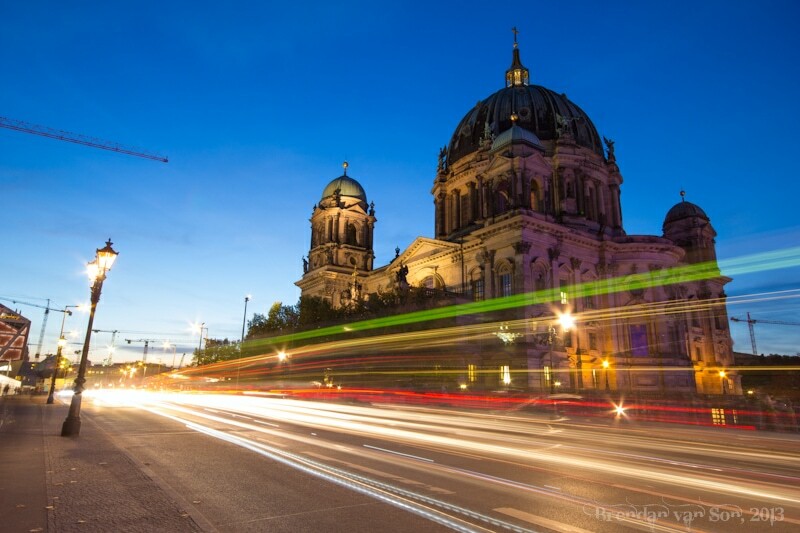 I love Berlin, so I love all of them. 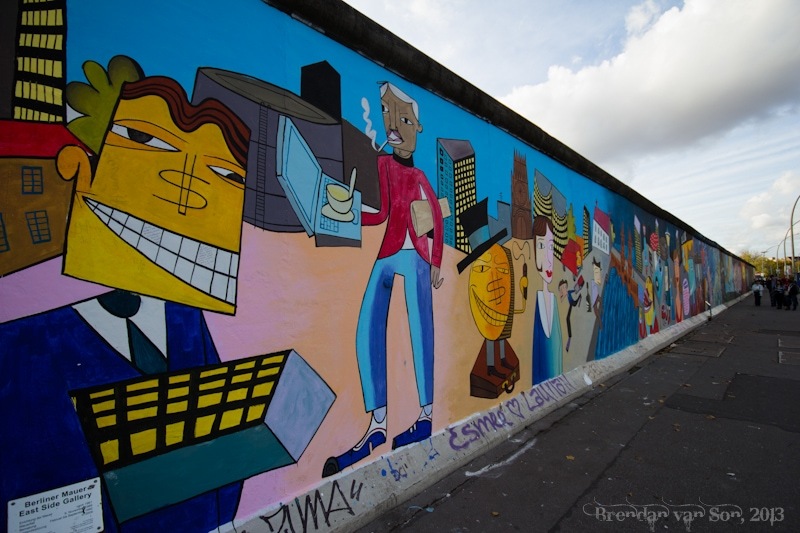 My favorites though are definitely the second one of the Brandenburg Gate, the people at Mauer Park, and the colorful dude with the bubbles. Thanks Amanda, Berlin loves you back.